People with type 2 diabetes can fight back the disease by improving their eating and exercising habits. But it means to go an a diet, and that’s a difficult challenge for most. First, there are plenty of contradicting information that we read on the Internet or magazines, or that we hear from friends or TV. After Atkins a few years ago, and the Paleo diet more recently, it’s the Mediterranean diet that is all over the news. Yet, there are long-term, fact-based studies that contradict the supposedly health benefits of those diets. Secondly, there are strong beliefs when it comes to food. For instance, meat and dairy consumption are considered by most as essential to good health and nutrition. Indeed, the $170B US dairy industry is very powerful and efficient at convincing people (starting with children in elementary schools) that dairy promote bones health and growth despite irrefutable studies showing that people who consume the most dairy are those who suffer the most from bone diseases later in life. Nonetheless, the myth that meat and dairy are healthy perseveres. Thirdly, most people associate dieting with deprivation and a chronic state of hunger and fatigue. And they are right! A recent study has shown, by analyzing chemical brain reactions (nothing less! ), that “self-imposed caloric deprivation increases responsivity of attention, reward, and motivation to food”. In other words, restricting diets make us crave food to a point where we give up and overeat, gaining back the weight. So restriction is not a successful approach to losing weight for the long term. It just does not work for most because parts of our brain fight back and win (it’s the body that loses). The best thing to do is to visit a registered dietitian who can share with you the latest studies in nutrition, dispel myths and beliefs, and help you set a realistic weight goal and an approach to reach it. Lifestyle changes, such at this 4-month program, are far more successful than diet restrictions. By understanding what the food does to your body, you can adjust your perception to what you should eat and what should leave aside. Sure it means less fats, less sweets, less salt, more veggies, more fruits, more grains, but it turns out that our taste buds adjust within days (healthy food start to be tastier), the health gains (weight loss, increased energy, improved overall mood) quickly become apparent and less medicine is required over time. And all that without counting calories. A recent study reported that consuming a high-protein diet reduces the weight of the participants over a 2-year period. Other studies have promoted similar results in the past years. People with diabetes are often targeted by those who sell those diets (Atkins, etc.) because of their supposedly low-carbs benefits. The rise of those high protein diets is in direct response to the low fat diets promoted by the U.S. Department of Agriculture decades ago, as it was already known back then that fat consumption directly contributed to heart diseases and other medical conditions such as cancer, the leading causes of death then (and still today). The food industry responded to that by cashing in on the fact that sweetness is highly addictive: they gradually removed fats from the food it manufactures and replaced it with a product that was (and still is) even cheaper: added sugar, in particular high fructose corn syrup (HFCS). Added sugar is now found in a myriad of unsuspecting products, such as ketchup, sausages, canned fruits and vegetables, etc. Sweets, along fats, are known to cause severe damage to the body, including heart and brain diseases. They are also very rich in calories and significantly contribute to weight gain. The diet industry then decided to cash in on the health problems associated with the consumption of low quality carbs by negating all carbs as a whole, claiming that ditching them would make you lose weight and supposedly healthier. Sure enough, reducing the consumption of high-caloric sugars will make anyone lose weight. It’s not the consumption of proteins that helps losing weight, it’s reducing the over-consumption of calories from low-quality carbs. In itself, consuming more proteins from meat makes the matter worse. Increasing meat consumption also increases fat consumption which, as mentioned above, has been known for decades to be deadly for most, so that’s clearly not a solution to the problem. Meat consumption is associated to kidney diseases, something people with diabetes certainly want to avoid as their condition can put a burden on their kidneys. To negate those issues, the meat industry claims that consuming meat is vital due to the essential proteins they provide. The truth is otherwise. When it comes to proteins, the human body only needs about 0.8g of proteins per kg of body weight, or roughly 1g of protein per lb of body weight (so more or less 50g of proteins for a 150-lb person). Overweight people do not need more proteins than lean people, so your protein consumption must be based on your ideal weight. As a reference, a 3-oz steak contains anywhere between 25g and 50g of proteins (depending on the cut). People following healthy vegan/vegetarian diets have no problem meeting their protein needs, without any meat product at all. Plus they get much more nutrients and natural vitamins, and no sickening / deadly amount of fats. Athletic people on healthy vegan/vegetarian diets also easily meet their protein needs by consuming more food (as they need more energy) and hence, more proteins. Proteins from diverse vegetable sources easily provide all amino acids, resulting in a “complete protein” diet. Overall, reaching your protein requirements is not a matter for concerns given the abundance and variety of food available to us. The solution is not to cut back on carbs, but instead replacing low quality carbs by high quality carbs, such as whole grains (brown rice, quinoa, whole wheat pasta, whole wheat bread, etc. ), beans, legumes, fruits, and vegetables. They fill you up to satiety and provide plenty of nutrients, vitamins, minerals (including calcium) and proteins. Familiarize yourself with the ingredients. When purchasing a product, look for and avoid products containing enriched flour, high fructose corn syrup, sugars, dextrose, fructose, glucose, lactose, maltose, sucrose, etc. Reduce or better eliminate sodas from your diet. 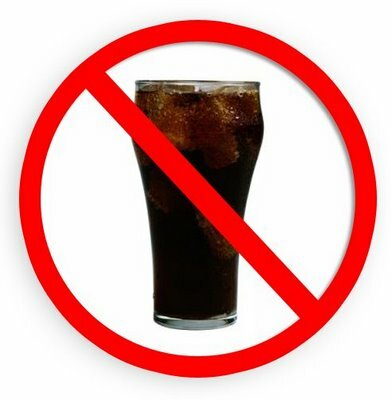 Regular sodas contain no less than 10 sugar cubes, whereas diet sodas make you crave sweets. None provides nutrients. Aim for whole food, such as grains, beans, legumes, fruits and vegetables. Not only can you eat plenty of them, they also provide the nutrients and vitamins your body needs to stay healthy, repair itself and grow, while keeping calories to a reasonable level. Eliminate low quality carbs, such as soda, candies, cookies, cereals (especially those targeted to children), white bread, white pasta, white rice, white tortillas, chips, muffins, pastries, etc. They all contain high amounts of simple sugars and fats, but few nutrients, the opposite of what the body needs. Avoid dairy. Fat-free and low-fat milk usually contains more lactose, milk sugar, which many people can’t properly digest. Calcium is not a concern, as it is abundant from vegetable sources and better digested than the one in milk. 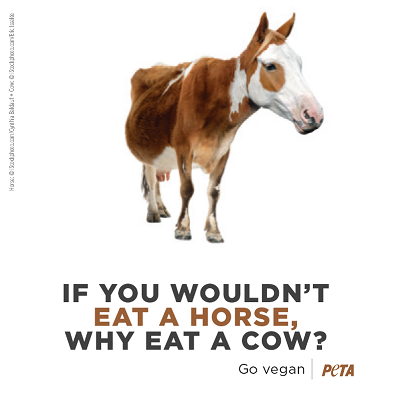 Since calcium from dairy milk comes from the plants the cow ate, better skip the cow and eat the plants. Dairy also contain casein, a protein that leads to plenty of diseases to humans, notably cancer. Spend a little time to find healthy products (without added sugars and very low in fat) and you’ll earn a lifetime of health benefits, including reaching your ideal weight without starving yourself. Gluten-free is undeniably gaining in popularity as people who are gluten-intolerant depend on those foods to manage their condition. Gluten-free doesn’t equal healthy though. A lot of the gluten-free products contain large amounts of low quality ingredients (such as white flour), and plenty of fats and sugars, all very unhealthy and the source of countless diseases. Grocery stores now have gluten-free sections, but just a quick look at the (long) ingredients list of those food will discourage you to consume them and encourage you to stick to whole, unprocessed food. Even if you find gluten-free food that doesn’t appear to be made of chemicals that only a scientist can read, it gets worse: unless the food is organic, gluten-free food are likely to contain genetically modified (GMO) corn and other grains. And that’s bad news. 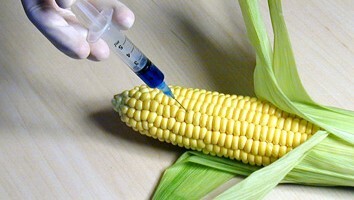 Monsanto, a US biotechnology company, genetically modifies corn to make it resistant to its pesticide. The result is abundantly-pesticided corn whose structure is not as nature prepared it for us. Or put it in another way: toxic, less-comestible food. A recent study on genetically-modified corn resulted in bans against the product in some countries. That study, performed on rats, left them with enormous tumors and organs damage (1). The industry disputes the study by arguing against its authors, their methods, their writings, etc. Monsanto is under attack, even banned, in many countries, but not in the US where it controls most of the corn sold. Far from being quiet, it has contributed over $8M fighting California Prop 37 (2), which would oblige companies to disclose on the products they sell if they are modified genetically (other companies fighting Prop 37 include Kraft, Coca-Cola, General Mills, Kellogg, Del Monte, Heinz, and many others food and pharmaceutical companies). Most Americans want their food to be labeled (3). Monsanto is in fact a very aggressive company that has relentlessly sued and ruined farmers through the use of draconian patents to control the exclusive use of its grains. Farmers are so fed up that 300,000 of them are suing Monsanto (4). Another lawsuit against Monsanto is heading to the Supreme Court (5). Farmers, not consumers, are suing a producer. Scary. It turns out that in the US, almost all the corn crops have some genetic modifications (and so do soy crops). Very scary indeed. And that brings us back to the beginning on this story: despite consuming gluten-free food, you might be consuming (read “you are almost certainly consuming”) food that contain corn or some other grains that are not comestible to some extent because their chemical composition has been altered in a way that you body cannot properly digest them. Genetically-modified foods are far more common today than they were 30 years ago when they entered the market; so are the cases of wheat (gluten) and other grains intolerance (a fact that low-carbs diet promoters happily take advantage of). The solution is consuming organic corn (and soy). Those product are unlikely genetically-modified. “Unlikely” because some may sneak their way despite testing. If it’s not organic, you can be assured you’re consuming genetically-modified food that can wreak havoc with your body. Losing weight, getting fit and eating healthier are the top New Year’s resolutions that are the most often… forgotten. There are many reasons for this. One is often that the required changes are too drastic, too sudden, and don’t integrate well into your established lifestyle. For instance, a diet that changes most of your meals can’t be reasonably followed for long despite the best intentions because it requires too many additional changes (getting more informed about food that can vs. cannot be consumed, buying different food items, learning different cooking methods, getting used to new tastes, etc.) all in a matter of days. Another reason is that resolutions are too ambitious: adding to your new diet a workout schedule (which demands even more commitment, planning and time) just adds too many changes that before long are all dropped because they are unsustainable. A better approach is to focus on one single goal and integrate it into your lifestyle one step at a time. This has better chance to succeed because the long-term goal is broken down into smaller steps that you follow at a pace that makes them stick to your lifestyle. It’s even better if reaching that goal brings extra benefits without requiring additional efforts from you. Losing weight, getting fit and eating healthier are just different ways of achieving one goal: regaining your health. So make that your goal: to regain your health. To your friends, it’ll be eating a little better, exercising a little more. To you, it’ll be a series of small dietary changes that will give your body what it needs to grow, sustain health, resist diseases, heal itself and be loaded of energy. Plus you’ll get some extras, without even trying: weight loss (without the nearly-impossible burden of counting calories) and the envy of exercising (because you will feel the need to burn all that energy you will be gaining). By gradually eating better, feeling better, losing weight and exercising, you will quickly enjoy the rewards of living healthier. This will increase your motivation and confidence to further improve your lifestyle, which will fuel an upward spiral of healthy eating and living, self-confidence and accomplishments that will lead toward succeeding your goal: to regain your health. What follows is a 4-month plan to reach that goal. It consists of gradually eliminating from your diet food that are known to be hurtful to your health. Each month is focused on eliminating one food group (meat, dairy, fats and sweets) from your diet by phasing out specific food each week. As a result, you don’t have to drastically change your eating habits overnight, but instead one week a time. For instance, the first month is focused on eliminating meat: you start by removing processed meat (e.g. sandwich meat) from your meals while following your regular diet otherwise; the next week you remove red meat, and so forth. At the end of the first month, you will have eliminated meat from your diet. As a bonus, you will already feel better and have lost some weight, without even trying. You will achieve the best results by following the plan entirely. However that demands to keep an open mind toward your beliefs regarding food. There are a lot of misinformation and myths that are forcefully, repeatedly and consistently perpetuated by the billion-dollar food industry that is feeding us regardless of the consequences on our health, for the specific goal of getting money from our pockets. It’s not a conspiracy, it’s just another industry motivated by profits. But the more you understand this, the easier it’ll be for you to ditch those products that have and still do sicken hundreds of millions of people before you, in favor of food rich in nutrients that are genetically designed to help your body grow and sustain health. It’s believed that we need meat for the proteins they contain. It’s now known that even world-class athletes need far less proteins than previously thought, that consuming animal proteins and the inherent fat are incredibly harmful, and that proteins from a whole food, vegetable-based diets are amply fulfilling. Any dietitian not paid by the food industry will assure you that the myth that only meat provide complete proteins is only that: a myth. What is not a myth is that meat, any kind of meat, not only lead to atherosclerosis (heart attacks, strokes) and cancer, but to a myriad of other crippling diseases. Saturated fat and cholesterol have a bad name for a good reason. Meats have no vitamins nor minerals which are essential to growth and health. Week 1: Processed meat: sandwich meat, salami, hot dogs, etc. The sort of food that resembles nothing of what nature makes on its own. Week 2: Red meat. A recent study confirmed that it shortens your lifespan. Week 3: White meat. Know that chickens are grown and slaughtered in atrocious conditions, and that you end up consuming the antibiotics they were fed with. Week 4: Fish. Farm fish is also fed with antibiotics, and natural fish is heavily contaminated with mercury. Consume more veggies (so many to choose from, aim for the dark green type), beans, legumes, tofu, tempeh, whole grains (corn, wheat, quinoa, rice, etc.) and fruits. Keep an eye on vitamin B12 by consuming food that add it (e.g. fortified soy milk). That’s likely the only nutrient you need to watch for specifically. Avoid commercial “fake meat” products (e.g. meatless patties) because they are very much processed on their own and not nutritious as they may seem; make instead your own (burger patties made of beans, potatoes, rice, and spices) that are both tastier and healthier. Another strongly-perpetuated myth is that calcium must come from milk. It seems that without milk, our teeth will promptly decay and our bones will bristle in no time. The truth is, calcium is abundant in natural food and it’s nearly impossible to be deficient of it when eating a plant-based, whole food diet. Besides, the calcium from milk comes from the plants the cows consumed (cows do not synthesize – generate – calcium but simply metabolize it – pass it – from the food they eat). So it’s best to leave the cows ruminating on their own and consume the actual source (not previously digested) of calcium: plants. A little dirty secret that the dairy industry keeps for itself is that countries that consume the most dairy have the highest rate of osteoporosis (bone diseases) and cancer. Not only that, but all dairy products contain a protein called casein that is known to promote the growth of cancer cells, and when removed from a diet, enable the body to destroy those cancel cells. Week 1: Cheese. It’s loaded with bad fats and casein. Week 2: Yogurt. Often loaded with a lot of sugars too. Week 3: Milk. Do we really need to consume another species’ milk? If calves are weaned by six months, exclusively turn to plants afterwards and grow big bones and muscles, why could we possibly need cow milk? Week 4: Milk-based deserts and treats. Loaded with casein, fats and calories. Not loaded with nutrients. Not healthy by any means. Aim for plant-based milk, such as soy milk, rice milk, almond milk and derived products if desired. Don’t be turned off by their somewhat light brownish color: whitened products are specifically depleted of some their nutrients to achieve their whiteness. It’s best to consume products that are whole and unprocessed to get all the nutrients they contain; that’s what the body needs. By now you will have already lost weight. But get ready for some accelerated weight loss by dropping fatty products. The body is very efficient at converting the fats we consume into body fat; conversely, it’s far more difficult for the body to convert carbs into body fat. Also, there’s no such thing as “healthy oils”: oils are pure fats extracted from food items that have severely been depleted of most, if not all, of their nutrients. A nasty side effect of fats is that they are twice as rich in calories than carbs and proteins. So grams for grams, dropping fats reduces your energy intake twice as fast as carbs and/or proteins. By dropping fatty products and replacing them with natural food, you not only drop excess energy from your diet, you also significantly increase your consumption of essential nutrients and vitamins to give your body what it needs to grow and sustain health. Equally important, fats are the cause of type 2 diabetes and heart diseases, so dropping them will not hurt a bit. Natural food items such as plants and fruits contain all the essential fats we need, and in quantities we need them; there’s really no biological need to add any more than what nature intended us to consume. Week 1: Dressings and sauces. Eliminate them to finally enjoy the real taste of natural food. Week 2: Cooking oils. Simply use water or fruit juice and you will achieve the same results. Besides, frying vegetables results in them being cooked by their own water, not the cooking oil. Week 3: Packages food (cans, commercial cereals, etc.) They almost always contain additives that your body does not need at all. Week 4: Prepared meals: pizzas, frozen meals, coffee shops’ drinks (those lattes damage your blood vessels), etc. They are loaded with fats, sugars and/or salt in quantities that damage your body. What is becoming a very significant health threat is High Fructose Corn Syrup (HFCS). Derived from corn at a very cheap cost, it is used as a taste enhancer in most products. The downside is that it’s nutritionally empty but packed in calories. It gives nothing to your health and makes you heavier and larger. Sweets are great when consumed in moderation, but extreme care must be used because they are in most processed foods and it’s very easy to over-consume them. Week 1: Sodas, sweetened drinks and most commercial juices. They have recently received really bad press, for a reason. Week 2: Sweetened cereals, syrups, jams, sweetened condiments (e.g. ketchup), etc. Those contain very high amounts of HFCS, giving you calories without any nutrients. Week 3: White breads, white rice, white pasta. “Enriched” food is all but; see below. Week 4: Candies, treats. Once in a while is fine. Every day is way too much. The so-called “enriched” products (white breads, pasta and rice) are made of grains that are whitened in a process that so severely removes some of their nutrients that the government bodies require the food industry to artificially add those nutrients back. The food industry’s marketing wizards answer back by calling those products “enriched”, but they are not better than the original food items they are made of; they are instead severely depleted. So when you read “enriched flour”, “enriched wheat”, etc., substitute the word “enriched” by “depleted”, and this is exactly what you’d be eating: depleted flour, depleted wheat, and so on. Aim for whole grains, such as whole wheat, quinoa, etc. Quinoa-made pasta taste better, have the same consistency and are far more nutritious than regular (depleted) pasta. Be aware that some grains have so badly been genetically modified over the years that they are barely comestible for some. Those who experience bloated stomach and other digestive problems should go gluten-free for at least two months to see if gluten is the source of the problem. Eliminating those products might seem impossible to achieve, but millions of people have done it before you. Most have said that is was easier than thought, in part because the results are so impressive. Indeed, science has demonstrated that they not only live healthier, they live far longer (10 years on average). The good news is that eliminating any of these food items will help you getting healthier, so any commitment you make and stick to counts toward a “better you”. For those who are into reading, there is also a lot of literature that explains why and how ditching those food solidifies your health. There are also countless recipe books featuring meals of all kind that only use healthy products and that will fully satisfy your taste buds. Make 2013 the year where you regained your health, one step at a time. Happy New Year! Your carbon footprint is a measure of the greenhouse gases, which trap heat in the atmosphere, you release. The lower, the better. The numbers below are expressed in tons per person per year. For reference, a car in the US produces 5 tons per person per year (on average). Going vegan reduces your carbon footprint by 1.5 tons over the average US diet. Plus you’ll rightfully feel healthy, won’t contribute to animal cruelty and will reduce significant environmental damage. Most people who were diagnosed with type 1 diabetes remember how it felt: immense thirst, high urination (and severe skin infection around the genitalia in some cases), disorientation, stomach pain, lack of energy, dizziness, etc. When diagnosed, blood glucose was sky-high and there was an excessive amount of ketones, a condition called ketoacidosis, that is life threatening. The situation returned to normal by using insulin. However, low carbs diet constantly add the risk of ketoacidosis to people with diabetes and should be avoided. As insulin production decreases, the body cannot get its primary source of energy: glucose. Glucose is essential for the body to function. For instance it’s constantly needed by the brain, every second of the day and low glucose condition immediately affects the brain. Glucose easily comes from digesting carbs (we’re genetically designed to convert carbs to glucose). Besides diabetes, a low glucose condition occurs when consuming a low-carb diet, such as Atkins or Paleo as those diets limit the consumption of carbs. Under a low glucose condition, the body initiates a process called lipolysis which essentially converts fats into glucose (because the body absolutely needs glucose to work). This process results in by-products called ketones that must be eliminated (straining the kidneys over time, which are already taxed by eliminating the excess of proteins when following a low-carb, high-protein diet). For people with diabetes though, the inability for the body to absorb glucose yields itself to hypoglycemia (high glucose condition) and activates lipolysis, which further increases the amount of glucose in the blood while releasing excessive amount of ketones (ketoacidosis). The administration of insulin allows the body to absorb glucose, reduce blood glucose to normal level, shutdown lipolysis and eliminate in the following hours the excess of ketones. Glucose level requires constant monitoring and that is what the pancreas does very well. People with diabetes are required to monitor themselves their blood glucose, which fluctuates not only based on the food consumed, but also by physical activity, hormones, etc. Despite carefully managing their condition and living healthy, glucose level can easily get too low or too high, regardless of the diet consumed. Going low-carbs still requires constant glucose monitoring and administering insulin, but it also adds the risks of ketoacidosis when glucose levels are too low, which can happen more often due to the low consumption of carbs. A diet consisting of quality carbs (whole grains, vegetables, fruits, beans, legumes) is a much safer alternative. Vegans have lower rates of cancer than both meat-eaters and vegetarians. Plant-based diets suppress the growth of three different types of breast cancer. Vegan diets cause more than 500 genes to change in only three months, turning on genes that prevent disease and turning off genes that cause breast cancer, heart disease, prostate cancer, and other illnesses. From this great post on HuffPost Healthy Living: Type 2 diabetes can be prevented, treated and reversed by adopting a plant-based diet. “Consuming the amount of cholesterol found in just a single egg a day may cut a woman’s life short as much as smoking five cigarettes daily for 15 years”. Lung diseases, the #3 killer in the US, can be prevented with a plant-based diet. Alzheimer’s disease is #6, and those who eat meat are three times more likely to suffer from it than vegetarians. Kidney failure risks significantly increases when consuming animal protein, animal fat, and cholesterol. Using diet sodas or sugar-sweetened regular sodas may increase risk of leukemia in men, but not in women, according to a new study published on Oct 24, 2012 in American Journal of Clinical Nutrition. Diet soda often uses aspartame, an artificial sweetener that has been linked to leukemia in animal studies. Additionally, a 41 percent increased risk of leukemia was found in men and women who used one serving of diet soda per day, compared to those who did not use diet soda. Bottom line: avoid the sodas. Not only they are nutrients-poor, but they potentially contribute to diseases. According to the World Health Organization (WHO), 63 percent of the deaths that occurred in 2008 were attributed to non-communicable chronic diseases such as cardiovascular disease, certain cancers, Type 2 diabetes and obesity—for which poor diets are contributing factors. Yet people that live in societies that eat healthy, plant-based diets rarely fall victim to these ailments. Research studies have long indicated that a high consumption of plant foods is associated with lower incidents of chronic disease. A New Year’s Resolution: Squat! Type 2 Diabetes is preventable and curable. Why are people suffering from it?